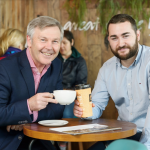 Food PR & Marketing has added a new specialist restaurant marketing service to its niche food-focused communications agency. 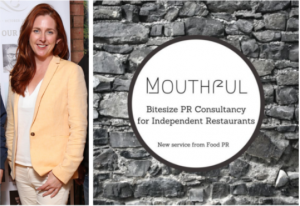 The new service, #Mouthful by Food PR, offers independent restaurant owners and food start-ups access to a full suite of PR services and consultancy services spanning their online and offline communications. Food PR’s esteemed roster of clients, which includes international food symposium Food On The Edge, Michelin star restaurant Aniar and high-profile chef JP McMahon, an impressive list of food producers, and independent cafés and restaurants means that clients will have exclusive access to all the services and opportunities that Food PR retainer clients benefit from. The first step in the #Mouthful service sees agency owner Olivia Collins set up a PR Strategy Session with the client via an online platform, usually Google Hangouts, Skype, or Facetime. During the session, Olivia will address the client’s business objectives, discuss ideas for engaging customers, raise ways of leveraging any food service relationships and identify opportunities for building partnerships to strengthen any marketing or PR activities. From the findings of the strategy session, Olivia and the Food PR team which consists of PR consultants and Online Marketing experts hen generate a customised communication plan in document form which is delivered the the client within 5 working days to the client. Among the aspects it covers are key message development, offline and online PR campaign suggestions, key PR activity, for example if a suggested campaign will require a press release, photography and a Facebook ad campaign, social media strategy plus audits of existing imagery and online presence (website and social media platforms). #Mouthful clients can then book a follow-up online meeting, aptly names The Digest to discuss and clarify any elements of the PR & Marketing Plan. Once they’ve availed of a #Mouthful strategy session, service users can then avail of #Mouthful on-demand services on an ad-hoc basis, which offer them access to a range of further PR tools provided by Food PR & Marketing, including press releases, press packs, media distribution, media relations, media drops, social media campaigns and event management, in addition to ongoing consultancy. 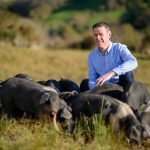 See www.foodpr.ie and www.mouthfulbyfoodpr.com for further details.